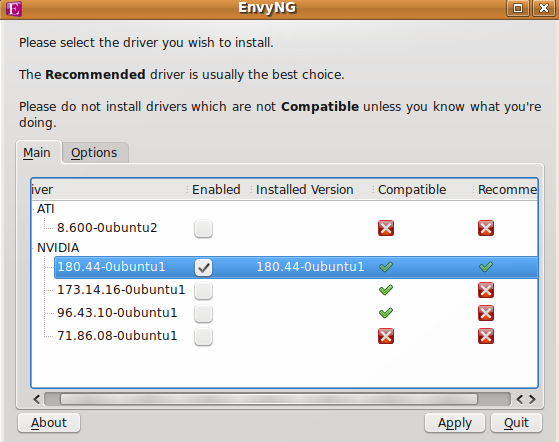 EnvyNG is a simple tool that can be used to install Video driver for your ubuntu easily.You can use text mode to install driver directly.Also you can use the EnvyNG GUI to install video driver more easy. and select one to install in this pic. 2.Or,goto Applications->System Tools->EnvyNG,start EnvyNG GUI to install your video card driver more easily. 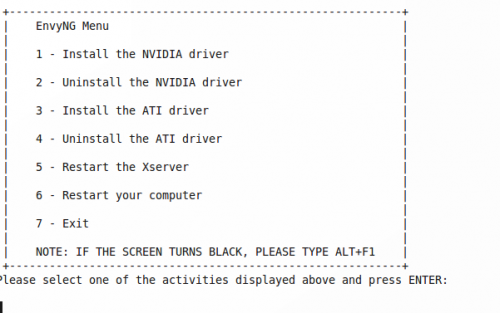 1 user responded in " EnvyNG-A Tool to easily install Nvidia/Ati video driver on Ubuntu "